Winners have been selected and notified. I want to thank everyone who participated and be on the lookout for more giveaways in the future! Teens! Your voice matters and I’m going to show you how. I feel reading and writing are such important skills to have, my goal is to get all of you involved in caring about reading, and, just as importantly, expressing your opinions and beliefs about your reading. You may already be doing this, and if so, congratulations, that’s awesome I love it! So, here’s the thing: I want everyone to read and review books. Period. I don’t care if they’re my books, your uncle’s books, or a world famous author’s books — I just want you to read and express an opinion about them so everyone can see and benefit from it. A book review may not seem like much to you, but they actually mean a lot to people who are looking to buy a book, and especially to the authors of those books. Your voice matters! Are you ready for this? Here’s your chance to have your voice matter and have a chance at some really cool prizes! 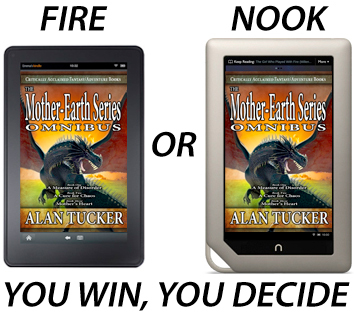 There will also be at least 10 eBook copies of the Mother-Earth Series Omnibus, which includes all three books in the series, releasing on February 24, 2012, as second place prizes. 2) Write a review — the review doesn’t have to be long, but needs to be more than, “This book was awesome!” or “This book sucked!” State your opinion, then explain why you felt that way. Did the characters rock your world? Was there too much romance? Or not enough? Whatever the reasons, jot them down. 3) Post the reviewsomewhere like Amazon, Barnes & Noble, or even your own blog! Just make sure it’s public so other folks can see it. 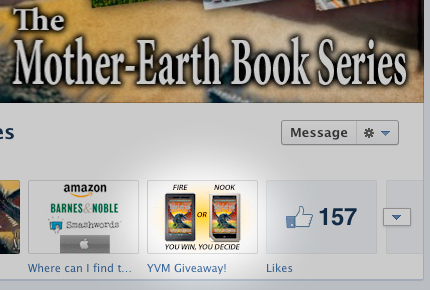 Click on the “YVM Giveaway” tab on the Mother-Earth Series Facebook page to get to the Rafflecopter entry form. 4) Copy and paste the link to your review in a comment on this page below, along with a way to contact you if you win. Then, click the rafflecopter on the Mother-Earth Book Series Facebook page — you’ll need to go to the “YVM Contest” tab (I wasn’t aware WordPress didn’t allow Java code when I set this up, I apologize for the extra steps!). 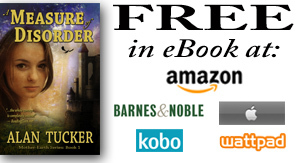 You can also go to ReadingTeen’s post which has the Rafflecopter widget as well. 5) Repeat as often as once per day between now and the deadline! Make sure there is some way to verify that you are actually the one who wrote the review. Use the same name in your comment/email etc. Only reviews posted during the contest will count, and I reserve the right to check the truthfulness of any winning review(s) — i.e. Please don’t cheat and post someone else’s review as your own! You wouldn’t want someone doing that to you, right? You can also gain extra entries by blogging or tweeting about the contest, and liking the Facebook pages. All right! Have at it! Remember everyone, your voice matters. When you write that review, keep in mind there is someone on the other end of your comments, so be positive and constructive, even if the book wasn’t your favorite, you can express your opinions in a kind way. The legal mumbo jumbo: Open to US Residents only. Giveaway ends 4/30/2012. Winners will be contacted via the information they provide in their entry. If a winner can’t be reached via their contact information within five (5) days, a new winner will be chosen. Must be thirteen or older to enter (younger contestants have your parent enter for you). Reviews will be verified as closely as possible for validity of the poster. (Meaning we will do everything we can to make sure YOU wrote the review you submit). Reviews must be new: originally posted after 2/15/2012. Authors! If you think this is a worthwhile endeavor and would like to participate, please get in touch with me through the blog, twitter, or facebook. I would love to just keep this contest rolling along, one after another! Thank you so much for the giveaway! I think having teens write reviews is a great idea. I know (as a teen) that I enjoy reading other teens’ reviews to decide whether or not to read a book. I love it! As an English teacher, I think what you are doing is awesome! I will tell my teens about it and hopefully they will write some reviews! Gretchen, thank you so much! Great idea! I shared the info with all my friends. Good luck! Great idea! Can pre-teens enter also? My 11 yr old wants to participate. You’re welcome to enter for them. : ) Legal reasons prevented anything lower than 13. Thanks for your interest and the question! Thanks for the interesting and awesome giveaway. I think this is a wonderful idea. Good luck to all the young people participating. 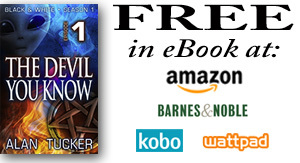 I am an author of a young adult novel and love to see what kids & teenagers think about it. 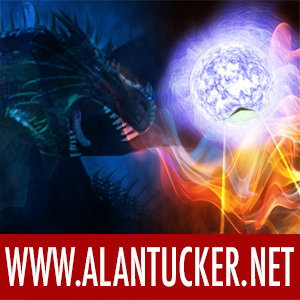 Alan, I’d like to participate as an author and help to promote this contest. Let me know what I can do. @Diayll – You’re very welcome and good luck! @Greta – Thank you so much! My email address is silverfalcon42[at]gmail[dot]com. Thank you for the giveaway, a KINDLE no less, how generous! As a teen, I love what you are doing. I often suspect the Internet is the only place I can find bibliophiles now. The host of book blogs not only bring a smile to my face, but gives me hope that reading is still valued. I wince when I hear my peers say they dislike reading. Though I truly believe people are inherently curious and love stories and they are just not picking the right books to read, which is also why I love book reviews. Amongst the host of new books, it’s nice to be able to sort through them, to find the jewels in heap. On the other hand, I am not sure what rule #5 means, does it mean I can write a gazillion more reviews and submit them? And is the e-reader drawing based on the quality of the reviews, or completely by luck? Lilian, thanks for your participation and question! The drawing will be random from the Rafflecopter widget, however, I will be verifying the winning entry, and others as they come in, to assure the entrant was being honest and forthright. If the winning entry was from a review that simply said, “This book was awesome!” I’ll disqualify it and have the program reselect. So, yes, luck will play a part, but also yes, you can post “a gazillion more reviews” and greatly improve your chances. As long as those reviews meet the requirements of the contest. I knew offering nice prizes was a double-edged sword. They create interest and participation, but they also tempt people to try to game the system. My hope is people will treat the giveaway honestly and participate in the spirit it is meant. Thanks again for your comment and best of luck to you! Sorry for the long winded answer, but I hope I covered your questions and concerns. If each review written is going into Rafflecopter, how would that be submitted for while a new tweet can be submitted daily for an extra entry (or so I assume so because of the “Do this again tomorrow for more entries!” message on the widget), entries can not. Or is the extra entries into Rafflecopter manually accounted for as long as a link is posted here? I’m not sure if I’m clear on your question, but I’ll give it a shot! I’m asking for the links to reviews to be posted in comments as well as the Rafflecopter widget basically as a double-check for me when I’m going through the entries. It will help me make sure everyone is accounted for and that names match properly with reviews. The tweeting is limited to once a day so no one is just spamming the Twitterverse for extra entries. I’m sorry, perhaps it is my fault for a lack of clarity. I meant that there being only one entry box for reviews in the Rafflecopter widget seems to implfy that each person can only submit one review. However, you’ve replied to me saying that’s not the case, and every additional review will improve chances of winning granted the review is original and “well-written”. But on Rafflecopter, even if I list several review URLs in the entry box will only amount to 25 entries being added whether it’s one or ten reviews. In other words, if I write another review, how do I submit it to Rafflecopter to improve chances? My apologies! I’m a Rafflecopter newb and wasn’t clear on what you were asking. I’ve edited the widget to allow that option to be used once a day, so, while a gazillion more entries isn’t possible, almost 70 more are. Thank you for pointing out the error Lilian! I have a question about Rafflecopter. I see I can now post a review each day. When I discovered this yesterday, it said “do this tomorrow for more entries”, but when I came back today, it still says that. Should I just wait another day? Hopefully you’re not getting bogged down with too many questions! Thanks again for the giveaway! I’ll look into this and see what I can find out. If nothing else, I think I can manually add it in but let’s see if it fixes itself by tomorrow and I’ll track down what info I can. Sorry for the trouble! Confirmed it is because of the change to that form of entry. We can fix this one of two ways: If you have another email/ID you can use, you can “re-enter” via that and it should work fine, or you can post links to your new reviews and I can manually enter them into the contest. Alright, I’ll try entering a new email address. Thanks so much for your help! Got some fantastic stuff here folks! Love it! Keep ’em comin’! I would love to be entered. Rather than post links to my reviews as there is so many. You can find them on Amazon, Goodreads, Alibris, Christianbook, Christian Review of Books. Bestsellersworld, Bookreporter – word of Mouth, Cook-Book-Queen, and more. just put my name Jane squires in and you can find many. I’m sorry Jane, but you’ll have to enter through the Rafflecopter form here: http://www.facebook.com/MotherEarthBookSeries under the “YVM Giveaway” Tab. You can enter one review per day until the contest ends as long as they were posted after February 15 when the contest began. Thank you for your interest! Awesome series, I really enjoyed the adventure! You should write more “side adventures” or new stories to this series. Here’s my review below. Thank you very much for the review Patrong. I’m glad you enjoyed the book! Thank you JC! Yes, Goodreads has a lot to offer, it’s a great site. I enjoy your books, and I’m a 59 year young mother, grandma and great-grandma, My children have enjoyed your books through me, I’ll keep passing along all books to the whole family! !